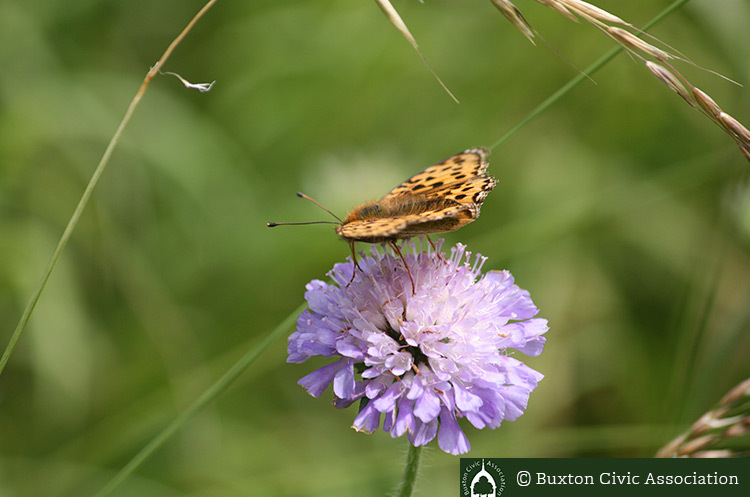 opportunity to visit the Country Park with this beautiful photograph and discover the Devil’s Scabious in ‘the Glade’ on the ash mounds. This purple flower belongs to the teasel family and is frequently visited by the bees and butterflies for nectar. (PAGE 41) From a guide to the ‘Wild Flowers of Grin Low Country Park’ by June and Lyn Noble.